This is gaming news for March 25 to 29. This week’s free game offer is near and dear to my heart. 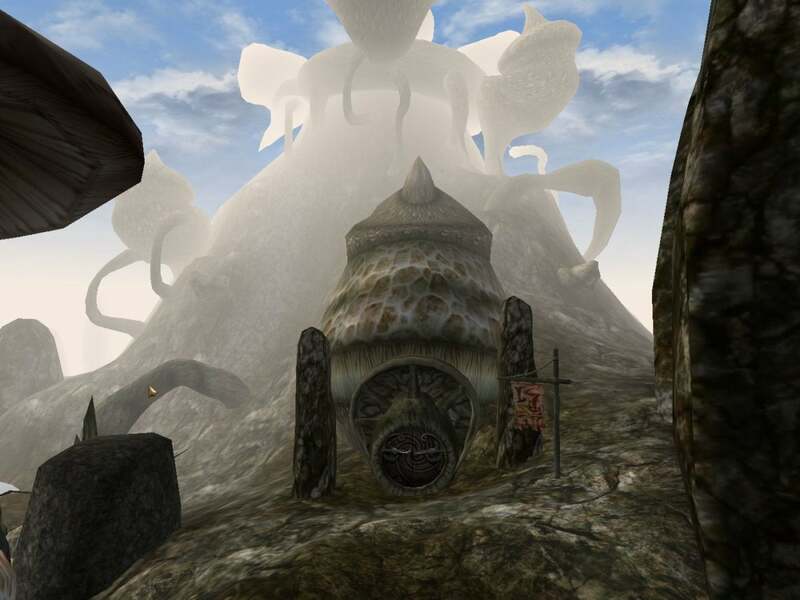 To celebrate the 25th anniversary of The Elder Scrolls, Bethesda is giving away free copies of The Elder Scrolls III: Morrowind, a.k.a. one of my favorite games of all time. I even spent nearly a week last year installing the latest mods before playing it again. If you missed out on the best Elder Scrolls in its heyday...well, it’s aged a lot in the ensuing 15 years, but now you can give it a try for free—provided you don’t mind creating a Bethesda.net account. After some code redemption errors earlier this week, Bethesda extended the offer through the weekend, so get on it. Forget Borderlands, the most exciting game reveal this week is Divinity: Fallen Heroes. Set in the same world as Divinity: Original Sin and co-developed with Logic Artists, Larian’s describing it as a “tactical game with all the depth of an RPG.” It’s more combat-focused than Original Sin and its sequel, but Fallen Heroes nevertheless aims to tie a lot of story into the framework around its 60-odd missions—including heroes that may leave your party if they don’t like your decisions. There’s a short reveal trailer below, including glimpses of chain-reaction combat mishaps and the squad selection screen. Expect more to roll out soon, as Fallen Heroes is set to release in 2019. We’ve been looking forward to Inkle’s archaeological space adventure Heaven’s Vault for over two years now, so it’s a relief to hear it’s almost ready. On Thursday the team announced an April 16 release date, less than three weeks from now. Let’s run the trailer one more time, yeah? I’m excited. Another much-anticipated 2019 release, Observation got a firm date this week as well: May 21. As a refresher, this is the 2001: A Space Odyssey-style game where you play as the artificial intelligence on a space station, viewing the action through the cameras onboard. It’s from the Stories Untold developers, which automatically means it’s piqued my interest—though news that it’s an Epic Games Store exclusive might drive some of you away. Ah well. And as we wind up for our fourth release date story—well, I guess this is the week the 2019 release calendar really started to fill in, eh? Wolfenstein: Youngblood, the co-op enabled spin-off to 2017’s Wolfenstein: The New Colossus, locked down a July 26 release date this week. Yes, July, the month nobody ever releases a game. It’s looking like a great summer blockbuster though, and can we take a minute to talk about the kickass synthwave soundtrack? Anything that uses Carpenter Brut has got my attention. Sony streamed a Nintendo Direct-style presentation this week, and while the vast majority of it was skippable there was one interesting announcement: No Man’s Sky is getting VR support this summer as part of the Beyond expansion (in addition to expanded multiplayer capabilities). And while they’re calling it an expansion, it’s worth noting it’s still free for all current owners. Yet another cool update for No Man’s Sky as it closes in on its third anniversary. At the risk of ruining all the great Mortal Kombat XI moments before the game even releases, this week’s time traveling trailer is a true joy. Seeing older versions of characters take on their new selves is incredibly entertaining, especially when it comes to Old Man Johnny Cage versus Young Jerk Johnny Cage. I’d be pretty happy if Cyberpunk 2077 released in the next year or two, but apparently I’m not dreaming big enough. PC Gamer went ahead and translated a CD Projekt forum post this week and noticed the studio plans to release not one but two games by the end of 2021. We of course knew CD Projekt had a second game “in the works,” but I assumed they’d roll onto that in full after Cyberpunk wrapped, not that it was a year or two out from release as well. CD Projekt also said this week that E3 2019 will be its “most important” ever, and I think I’m starting to understand why. It’s hard to know what exactly that entails or how it will play out in practice, but any game that tries something new within the point-and-click genre at least earns a second look from me. Unavowed landed high on our 2018’s Best Indie Games list for a reason. Look for Whispers on April 17. The original Diablo released on GOG.com a few weeks ago, and it was only a matter of time before more of Blizzard’s back catalog arrived. If you’re looking to play the original Warcraft: Orcs & Humans or Warcraft 2, you can at long last pick them up for $6 and $10 respectively—or in a bundle for $15. Neither of them have aged as well as StarCraft in my opinion, and certainly not as well as Warcraft III, but the important part’s that they’re available if you want them. Have at it. Another week, another round of layoffs. This time it’s more expected at least, as EA’s reportedly been struggling for a while now. Still, it’s never easy when people lose their jobs, and certainly not when it’s at this scale: At least 350 employees, mostly in its marketing and publishing teams. That’s about four percent of EA’s 9,000 employees. On the plus side, EA didn’t pull an Activision and announce record profits before the layoffs. Then again, EA paid Patrick Soderlund $48 million last year before he exited the company, which seems like it’d easily cover those 350 employees (and then some). Best of luck to those affected, as always—but maybe, in light of this year’s unprecedented wave of layoffs, the industry should figure out what the hell is going on and maybe make some changes accordingly. This story, "This week in games: Free copies of Morrowind, Divinity: Original Sin 2 gets a tactics spinoff" was originally published by PCWorld.